Alistair Reign, November 8, 2016. Alistair Reign Video Report. 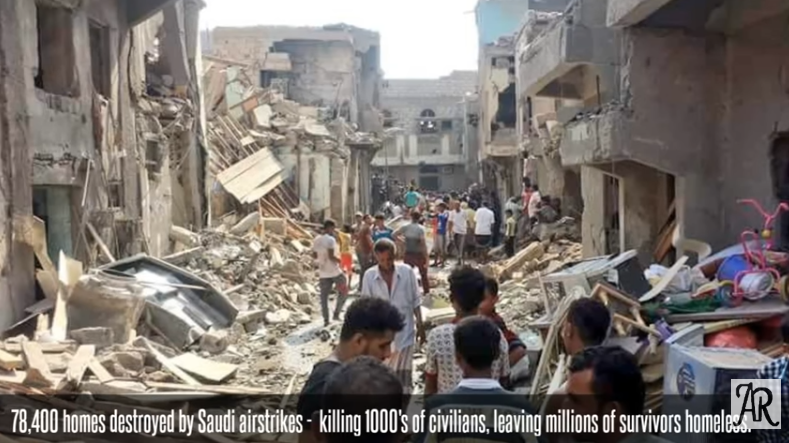 An Alistair Reign video report that takes a look at the war raging in Yemen – an attack on the Middle East’s poorest country – by the wealthiest, influential country of Saudi Arabia. Includes news coverage on the funeral bombing in Sana’a on October 8, 2016, witness accounts, interview with Human Rights Watch, and highlights from Dr. RS Karim, Co-founder of Mona Relief, a Yemen-based charity, in his sit-down interview with Sputnik news. Read the accompanying article KSA: Saudi “So-Called” Royals Are Still Killing Yemen’s Children in our news section.